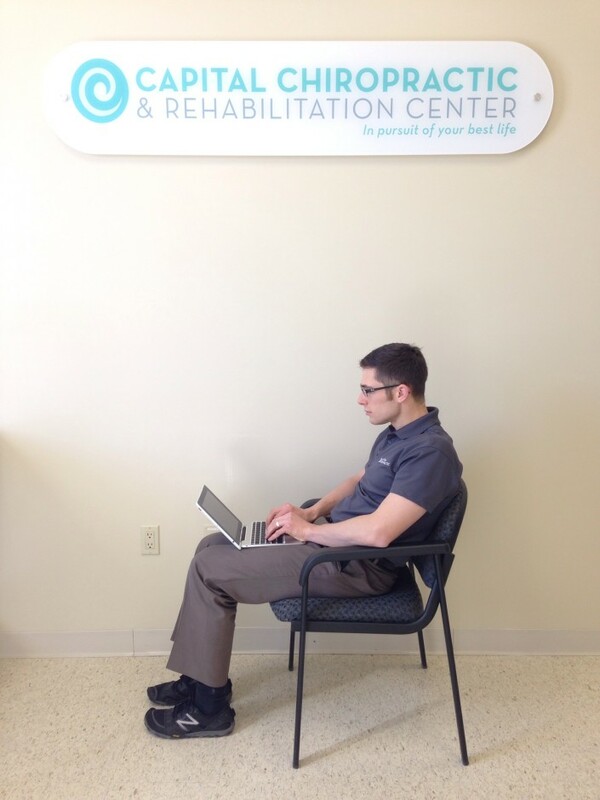 Nearly every day, I address issues that are – at least in part – associated with both the number of hours people spend sitting, as well as poor sitting posture. Most of us find ourselves sitting for hours every day due to the types of activities that require it: our work environment, driving, and even leisure activities. But these hours spent sitting can multiply in negative effects when the quality of our sitting posture declines. When we sit, we quickly begin to rely on passive structures of our own bodies, our chair and nearby surfaces like tables, desks, steering wheels, and arm rests to hold us up and give us stability. With this disengagement, our bodies inherently begin to shut down in predictable ways. Some muscles tighten down, while others stop firing, or functioning correctly. We may find ourselves experiencing dysfunctions like forward head posture, jutting chin, and the tell-tale signs of slumped posture: thoracic and lumbar spine kyphosis. What are the longterm effects of bad posture while sitting? There are many longterm effects, including sore neck and shoulders, tight hips, circulation problems like varicose veins, inflexible spine, and disc damage. See even more in this handy infographic from the Washington Post called “The Health Hazards of Sitting.” For effects over time, including links to current research in biomechanics and kinesiology, check out this article from Life Hacker. And while sitting isn’t necessarily the direct cause of all of these problems, they can be attributed to a sedentary lifestyle, of which sitting is a big part. Are we more prone to bad posture when sitting than standing? Not necessarily. We can stand with poor posture, also. However, when we stand, we’re more likely to actively be doing something. We’re washing dishes or grocery shopping or walking around the block. Most of our poor posture happens while in a chair because of the sheer amount of time we spend sitting – in cars, at desks, in meetings, while watching television. If I sit a lot, am I doomed? In the environments and habits typical to our culture, everyone finds him or herself in a chair at some point of the day – whether in the morning during a commute to work, behind our desks typing emails, or at the end of a long day watching television. And the great thing about habits is we can change them. With your short and long-term functional health in mind, here are five alterations you could consider for changing your sitting habits. Start to become aware of how much you are sitting in a day and what happens to your posture when you take a seat. Try a standup desk at home and/or work. You can convert an existing desk or invest in a wide variety of pre-made standing-height work stations. Of course, bad posture can follow you in standing positions also, there are just fewer surfaces to passively rest on when standing compared with sitting. 3. Trade out your chair for a ball. Try sitting on an exercise ball. As you constantly adapt to the instability of the ball, you engage your core muscles and maintain spinal flexibility. Continue to be wary of your posture, though, for it is possible to slip into poor posture, even here. Maybe a standing desk or an exercise ball isn’t ideal for you. Perhaps you would want to try a McKenzie Roll. 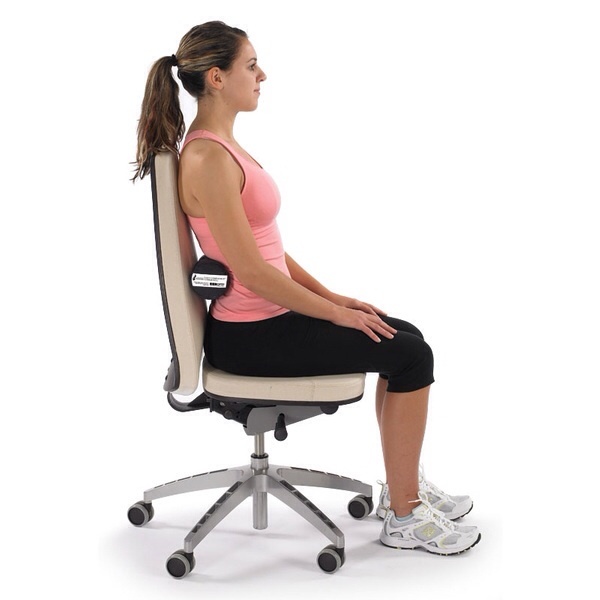 These devices can be used in your car or office chair – wherever you could use more lumbar support and a reminder to engage your core while seated. If you want to try one out, stop in the clinic any time. A McKenzie Roll provides gentle lumbar support in any chair. 5. Take your meetings outside. If you are a person who sits in meetings several hours a week (or day), consider a walking meeting instead of a sitting meeting. Use this quick how-to guide for planning a walking meeting. Give it a try – they may be even more productive than you think. Making small alterations like these in this big habit can have lasting effects on your short term and long term functional health. Have any questions? Call the office any time.